The Consumer Financial Protection Bureau won a stay of execution today, as a U.S. appeals court in Washington agreed to reconsider an October decision that would have made it easier for the Trump Administration to rein in the agency and fire its director, Richard Cordray. The full court will rehear arguments on May 24, including Chief Judge Merrick B. Garland, who had stepped away from the bench while his nomination to the Supreme Court languished in Congress. The court's decision to rehear the case is seen as an encouraging sign by supporters of the embattled consumer agency. "We are pleased that the ruling against the Consumer Financial Protection Bureau’s independent leadership will be reviewed by the full court," said Mike Landis, Litigation Director, at U.S. PIRG. "A review by the full court gives Director Richard Cordray the chance to finish out his term and continue being a consumer champion." “We welcome the news that the full Court of Appeals is rehearing this case. The CFPB's independence from Wall Street and predatory lender special interests, and its effective leadership structure, are vital to the Bureau's ability to police the industry and protect consumers,” said Lisa Donner, executive director of Americans for Financial Reform. 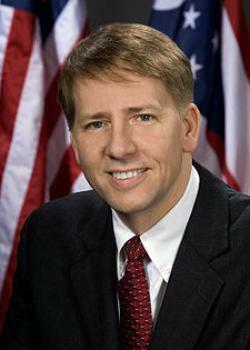 Cordray's term runs through 2018, and under the legislation that established the CFPB, he cannot be fired. It's that provision, among others, that is being challenged as unconstitutional by PHH Corp., the New Jersey lending company that appealed a CFPB decision that slapped it with $109 million in penalties. President Trump has promised to scrap 75 percent of all U.S. regulations and to dismantle the Dodd-Frank Act, the 2010 legislation that created the CFPB and imposed tough new regulations on Wall Street. PHH's challenge has drawn support from business groups, including the U.S. Chamber of Commerce, Competitive Enterprise Institute, and National Association of Realtors, but it has also drawn an outpouring of support from consumer organizations and others. On Jan. 23, 16 state attorneys general petitioned the court for permission to intervene in the case. Consumer groups including Americans for Financial Reform, the Consumer Federation of America, and the U.S. Public Interest Research Group also spoke out in defense of the bureau. 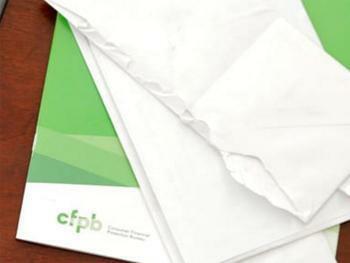 "In the five years since it opened its doors, the Consumer Financial Protection Bureau has worked tirelessly to enforce the laws that went ignored in the run-up to the 2008 financial crisis, and has done more than any other federal agency to empower consumers against predatory, deceptive, and outright fraudulent behavior by bad actors in the financial services industry,” said Wade Henderson, president and CEO of The Leadership Conference on Civil and Human Rights.